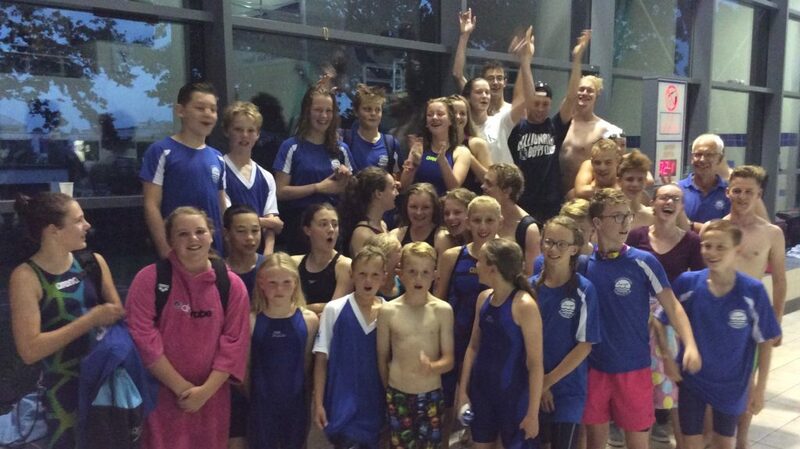 A great night’s swimming and 2nd place! There was lots of great racing and some big PBs, not least Matty Smith with a 15 second PB in his 100 IM!! Emily knocked 5 seconds off her 100 IM and Daniel 4 seconds off his 50m breaststroke. 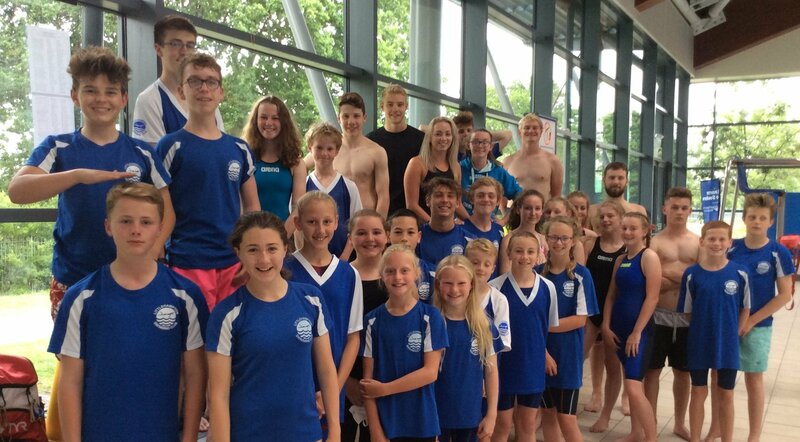 We had a huge 21 first places, the same as Worthing – there really was nothing between our two teams! East Grinstead scored a few more points than expected due mainly to the unexpected appearance of Zara Williams who won all of her open events! Sadly we had 3 relay DQs, all early takeovers. Overall though it was a fantastic team effort, well done to you all! As you can see below they were a happy bunch! But I couldn’t get them all to look at the camera at the same time!! The final result was Worthing 1st 362pts; Littlehampton 2nd 351pts; East Grinstead 3rd 337pts. This means we finish 8th in Division 1 this year and will be in Division 1 again next year. Thank you to our many helpers who made our host gala run so smoothly. We were especially entertained by announcer Simon Redwood!